Last month we did a survey to find out more about the typical challenger’s state of mind, and at the end we asked you to agree or disagree with various statements. The most-agreed-with was 'I am a work in progress but I'm going in the right direction' (it was just a hair's-breadth ahead of 'This challenge has been great for me'). I find that so encouraging. Because one of life's biggest challenges is getting on terms with the people we are, as imperfect as we are, and sometimes that can seem like a lifetime's work. But walking has an amazing ability to ease the gradient and improve the weather in the world of our mind – and wherever you're headed, a step in any direction is a step in the right direction. You can read more of the results in the new issue of Country Walking, and hear from the doctor who says "#walk1000miles is the foundation on which my future is built". But for the meantime, tuck into the newsletter, savour the sunlight, and enjoy every step of this wonderful journey we're all on. and by george we still believe in summer! Free poppy seeds from the Woodland Trust & the West Highland Way headline our on-foot Indian Summer festival! Grab the latest issue issue of the UK's best-selling (and fastest-growing) outdoors magazine and you'll be armed with masses of ideas to turn this into a summer to remember after all. Never in the history of the universe will there be another summer-of-2017 so let's seize the moment and do Britain's most dreamed-of trail – the West Highland Way – collect all eight of Wessex's white horses, link three classic walks in three national parks on one awesome back-roads road trip, find a shady in glade in the Woodland Trust's favourite lesser-known forests, learn how to pick lunch instead of picking it, discover the country's most beautiful canals, borrow the Google camera and make our next walk internet-famous or a pile of other plans... Let's have a blast! Big news! you can Pre-order your #walk1000miles completer's medal now! 60mm wide, 3mm of relief-cut metal thick, suspended from a ribbon and your swelling chest! For the first time ever and after approximately a billion requests you can now commemorate your achievement with a spiffing official #walk1000miles medal. They'll be ready for deliver in November but you can secure yours now for an all-in, delivered cost of £7.50. Click the medal to visit the shop and place your order. You can walk 1000 miles in a year by covering 2.74 miles a day. But could you cover any of them in the five hair-raising environments pictured here? You will never feel more like a Bond villain than when prowling round the fantastic lair at the top of the Aiguille du Midi – the 3842m peak that gives ordinary mortals a window on the rarified world of the Mont Blanc mountaineer. Your £43 ticket buys you a ride on a two-stage cablecar with the highest vertical reach in the world, and deposits you (feeling a little light-headed and perhaps a shade blue-lipped with the altitude) on a series of bridge- and tunnel-connected perches. You’re never far away from a steaming mug of coffee and a hearty plate of tartiflette to shore up your nerves, but nor are you from what looks like a certain plunge to an icy death. A 100ft walkable pipe ringing the summit pinnacle opened this summer to celebrate 60 years of the complex, and since 2013 those who really like a bit of ‘flirtigo’ have been able to ‘Step into the Void’ – an edge-overhanging vertical glass box that allows you experience what it would feel like stepping out into a 3000ft crevasse-bottomed void. The answer is ‘a bit ooey’. Via ferratas (‘iron ways’) are perhaps the ultimate way for ordinary walkers to get themselves into the most extraordinary situations. Safely attached to a permanently fixed (and free to access) wire, the walker with a head for heights and at least a memory of their tree-climbing childhood can soar into eyries otherwise reserved for the hardiest of rock-climbers. Named to reflect their Italian origins, today they are widespread with over 1000 across the Alps. Le Roc du Vent is perhaps the most beautiful in France – a country which has taken up via ferratas with gusto since its first was installed in 1988. It features a 2360m summit, beautiful lake, 200m tunnel, views of Mont Blanc and this gobsmacking 60ft-long wire traverse – a spectacle guaranteed to provoke stomach-flipping feelings of admiration in anyone to whom you show your holiday photos. Rated ‘Assez-Difficile’ it’s at the lower end of the difficulty ratings (one up from ‘not very hard’) which means if you can climb a tree and do Bristly Ridge or Sharp Edge without freaking out you really can do this. Situated in the Savoie region a few miles south-east of Mont Blanc, the route starts 40 minutes’ walk from the car and is all done in under three heart-pumping hours. En route you’ll climb vertical ladders, scramble up steep slabs, see a 360° alpine panorama, traverse that faintly quivering high-wire – and the fact that at every stage you’re completely safe will stay our little secret. Two miles on foot is all it takes to reach mother nature’s best bridge and what a good job she did – though as the untimely end of several stumblers, selfie-takers and ‘tombstoners’ attests, she might think about putting handrails on her to-do list. The biggest of several sandstone arches in the Sedona region, it’s a relatively easy walk (though through 40° heat) from the trailhead, with 400ft of ascent. Come, cross it, enjoy: but as the locals will be only too keen to remind you: ‘This ain’t Disneyland’. If you see a scorpion, it isn’t because a child dropped a toy; if you lean too far over the bridge airbags do not deploy. An hour north-west of Malaga, the ‘King’s Little Pathway’ used to be known as the most dangerous walk in the world, and despite being refurbished in recent years this mile-long aerial boardwalk still gives a very good impression of it. ‘You won’t endanger your life’ assured the local council after reopening the route in 2015, ‘but it will feel that way’; ‘Is it hazardous?’ reads the FAQ. ‘Of course it is’ begins the reply. Built between 1901 and 1905 as a commuting route for hydroelectric construction workers, in total this linear trail is five miles long, comprising dusty footpaths and forest trails in addition to the mile of chanted prayer that is the metre-wide boardwalk, suspended 300ft above the canyon floor. Entrance is by £8 ticket and it’s open year-round except Mondays. That's when Wile E Coyote practices. A glass floor and a waist-high barrier are all that separate you from falling from 4600ft on Tianmen’s Coiling Dragon walkway – a 330ft-long dare-walk that opened in August. It’s one of three glass walkways on Tianmen Mountain, reached by the world’s longest cablecar. It’ll cost you £33 to square yourself witless. Country Walking's ever-roving features editor has sent us this from somewhere new. But where? The Sea To Summit X Set 11 is two-person kettle and mug set for hot coffee and cocoa on the trail. The wide rim and stable handles allow it to be used as a 1.3L pot with easy stirring. Enter your details by 13 Sept to be in with a chance of winning. Have you completed your 500 or 1000 mile challenge? We’d love you to fill in a quick Q&A. We're genuinely interested to hear what you thought – and who knows who's life you might change if your experience inspires another? Don't forget to DOWNLOAD & PRINT your CERTIFICATE OF COMPLETION too! Done your first 500 and want to pin up morale-boosting proof for all to see? Smashed the magic 1000 and looking for something fitting to grace the downstairs loo wall? Just want something to hold up and hold while saying 'Yay!' for your next Facebook post? Click the pic! We’d love to see them! What's your latest daily target? Check now! What’s headline news in your life right now? I would have said completing a five-mile, 40 obstacle mud run (I walked) but unfortunately something has eclipsed it. Yesterday I had a car accident when woman was on the wrong side of the road and didn't see me! I’m in hospital with a broken ankle so I'm currently on a slight hiatus! Back in stock in very limited supply! Shield your eyes from glare, see better when you’ve got your hood up, keep sweat out of your eyes and keep your hair out of your face: there’s a lot to to be said for a cap in a (by turns) sunny, wet and windy British summer... Click the pic to visit the shop. Spotted on your walks this month. Some silly, some scary – but their bark is worse than their bite. Suzanne I'ons spotted this disillusioned clown. 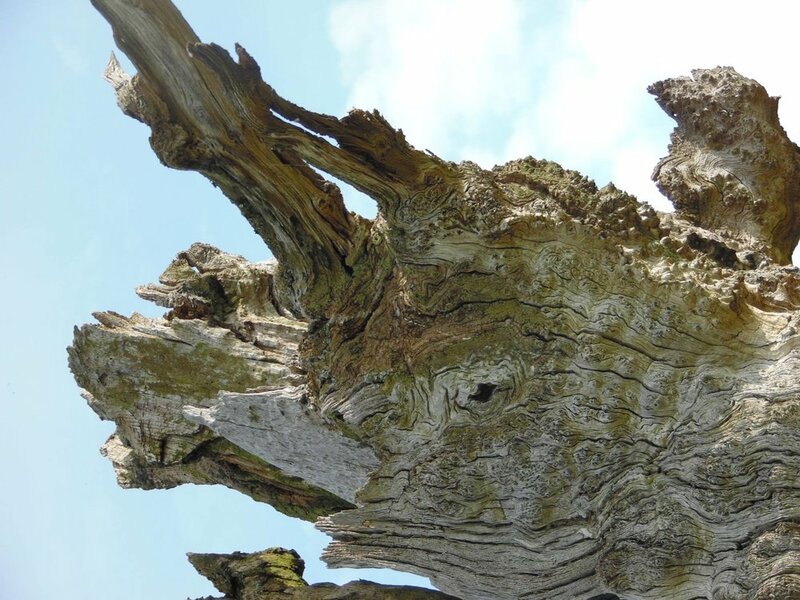 Sara-Jayne Davies was startled by this giant tree snail. Whereas Val Cook was cheered by a jolly sloth. 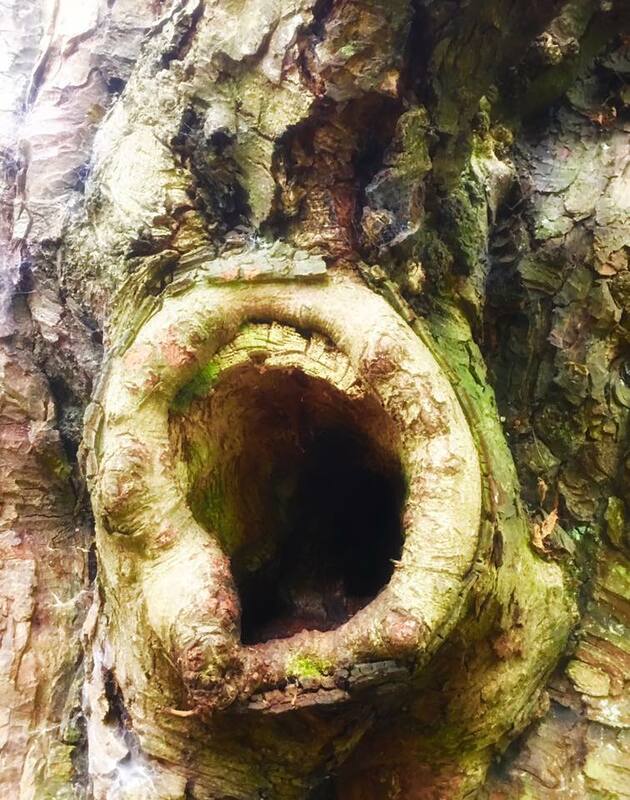 'Welcome to my world, such as it is' said this tree to Pip Sticks. Is there a sight more melancholy than a downed unicorn, wonders Jennifer Weckworth? Susan Goldsmith applauds this shameless belly dancer past her best. Ever-skyward this owl gazes – spotted by Susan Goldsmith. 'It's a trap!' Chris Bamford spotted Star Wars' Admiral Ackbar in repose. Kim Russell bravely ignored the crude jibes this tree was hurling. A human-tree hybrid experiment gone horribly wrong. 'Please. Kill me' heard Kelly Watkin. Open wide and say 'Aaarrghghhgh' said Elaine Reeve. All he wanted was a friend, but he was too stumpy for Marcus Easterling. This tree enjoyed a distinguished career at the RSC before Kenneth Branagh came and ruined it all with his populism. Jennifer Weckworth sympathised. 'Yeah, a lot of people would see having three eyes as a social drawback, but the way I see it, if someone's got a problem with it then it's their problem, do you know what I mean?'. Sue Ashton wasn't sure where to look. Is there anything in my nose? Is there? Dianna Low was kind enough to perform a discreet check. 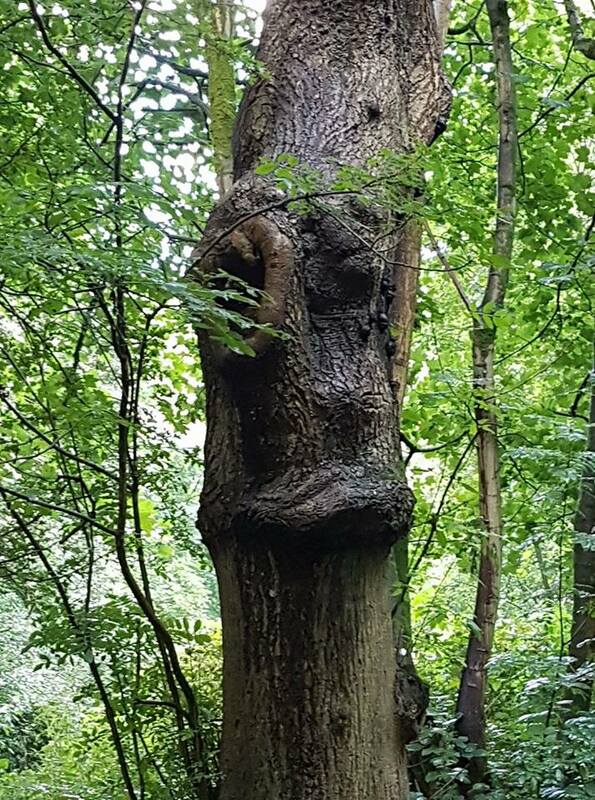 Gill Dunkerley urged this tree to cast his mind back to saplinghood to see if he could remember any of his youthful enthusiasms. It was too late to rescue this poor trapped chimp, rued Helen Smith. 'Oooh, strapless top in THIS weather? It's not Palm Beach love!' Chris Thorn was appalled by this tree's catty attitude. All trees go through a Tarzan-impersonating phase, discovered Sue Meek. 'Yes, it's a tattoo, no I'm not proud of it' this tree told a passing Natalie Jane Thomas. Kim Russell met a Direwolf. But it was no match for Patra Fairclough's stegosaurus. Stop hiding back there, Beaker! encouraged Jacqui Wood. 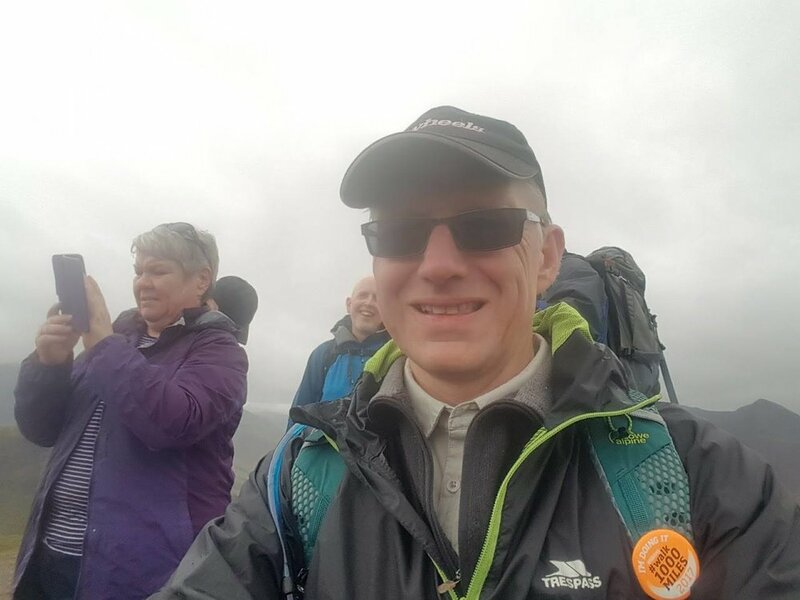 #walk500miles and #walk1000miles challengers are held in such high esteem by Cotswold Outdoor, they refuse to let you pay full price for anything. Just present your badge in any of their stores any time this year and watch tenners fall off your bill. 1) 583 comments later, the group names dunc's new dog! meet woody! 2) we have our first (official) #walk1000miles romance! congrats eve and jay! 3) Leona's soloed the west highland way! 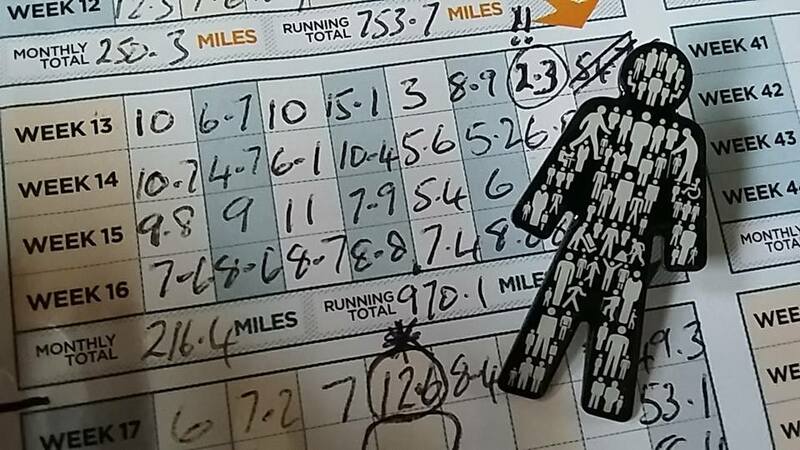 4) From 11 minutes with no pulse and six weeks in a coma this time last year – to 1196 miles in 2017! 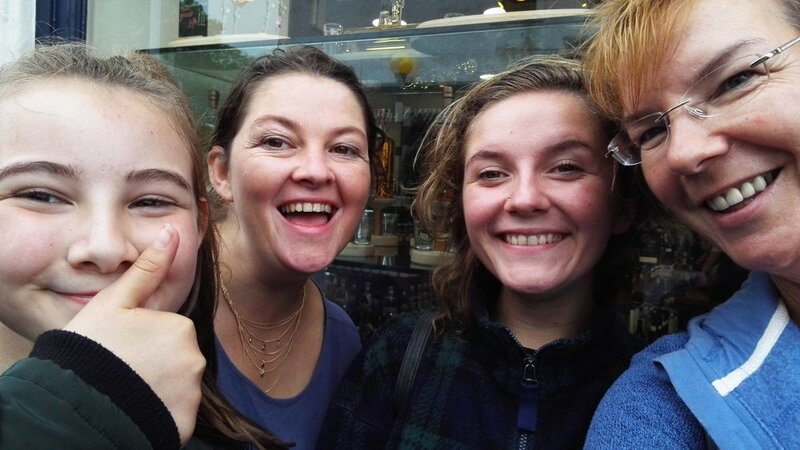 5) Helen hit two amazing milestones in one day, wahoo! 6) Donna was a bit fed up so she painted a dog. her first painting ever! 7) Is it mad to set your alarm for six, even at weekends? What's that mountain in my photo? 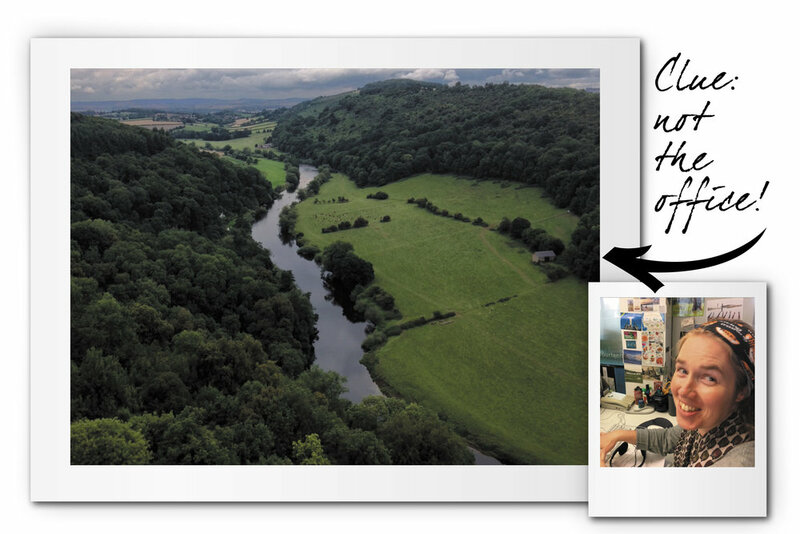 How to identify hills in your photos with the help of OSmaps, using my caption crisis for this month's cover as an example. Warning: you will find this video either incredibly useful or incredibly boring. PSSS! – will you help save our daylight? It's not too late to join in! Thank you to everyone who emailed to explain the definition of the word 'Many'. It means a lot.